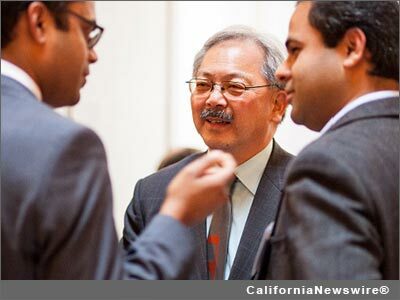 SAN FRANCISCO, Calif. /California Newswire/ — According to an announcement from the S.F. Mayor’s Office of Civic Participation today, San Francisco’s first entrepreneurship-in-residence (EIR) program in collaboration with the White House, is receiving applications from numerous innovative startups tackling key areas such as transportation, planning, tax collection, licenses, parking, energy, healthcare, environment, library, parks, airport, real estate and public safety. Government is about 40 percent of gross U.S. domestic product including state, local and federal spending. Startups that have applied to the program have expressed interest in solving issues for San Francisco and other cities and states across the nation. The entrepreneurial products and services developed through San Francisco’s EIR program should drive significant impact such as increased revenue, enhanced productivity or meaningful cost savings. Examples of opportunity areas that entrepreneurial teams and startups are seeking to work on include:•Utilize the growth in open data to enable better analyses and decision-making. • Improved utilization of public assets (e.g. parking) and enhance customer experience. • Make available easier healthcare choices and services for residents and businesses. • Enhanced recruiting and hiring applications for more efficient and productive talent management. • Improve transit times, transportation efficiencies and reduce costs. • Track and optimize energy purchases and usage. • Enable people with visual challenges to navigate areas such as the airport or better utilize the library. • Use tech-enabled products and services to improve public safety and reduce crime. • Use a digital public notification system to help local businesses and their growth. “World-class entrepreneurs focus on building superior product and market fit. This program is providing the unique opportunity for entrepreneurs to work together with government to accomplish that,” according to Rahul Mewawalla, a senior executive with leadership experiences across Nokia, NBC, GE and Yahoo and former entrepreneur who is leading the program. The program continues to accept applications through early October. Selected teams will receive direct access to government needs and opportunities, staff and their expertise, in addition to insights, product development, ramp-up support and mentorship from public and private sector leaders from San Francisco, the White House, McKinsey & Company and Goldman Sachs. The program expects to select 3 to 5 teams and announce the selected teams in October, during San Francisco’s Innovation Month.